One of the strengths of your synagogue website lies in the quality of its photos. Take a look at our list of the best Reform, Conservative, and Reconstructionist websites. These congregations are diverse in size, location, and denomination, but they all showcase powerful visuals. It’s not enough to simply state that you are a warm and welcoming congregation. By displaying photos of a cross-section of your synagogue’s members, your website brings your words to life. 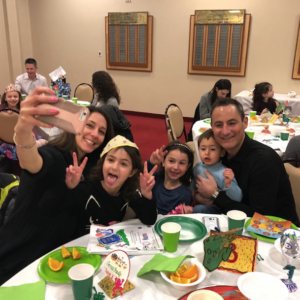 Explore Congregation Shaare Emeth and Adath Shalom and you’ll see what we mean. At this point, you may be rolling your eyes and saying to yourself “easier said than done.” And, we agree. Finding high-quality photos can be a big challenge for all synagogues, but this is especially true for Conservative and Orthodox shuls who are unable to photograph during Shabbat and other holidays. You can always head to Getty Images or Adobe Stock to purchase images, but after a while, the costs start to add up. Besides, the overly staged nature of stock photos sometimes lends an inauthentic and impersonal feel to a website. Hiring a professional photographer is an even better option, but this is a financially prohibitive suggestion for many synagogues. So, what’s a congregation to do? Our three cost-effective strategies are here to make the question “how do I find photos for my synagogue website?” a bit easier to answer. Your members are already attending your events and snapping away pics on their iPhones. After the event, why not send out an email to attendees asking for photos? You can even experiment with putting out your request via text. With all the photo-taking tools that come on mobile phones nowadays, people are used to taking high-quality photos – i.e., they have enough knowledge of photography to know what it takes to compose a good photograph. Chances are you already have a great photographer in your community. Send your congregation an email to make your needs known. You’ll be surprised at how many congregants are eager to show off their photography skills to help their synagogue. Ask if he or she is willing to photograph your next big event or to even visit your congregation on a quiet day to photograph the building, stained glass in the sanctuary, or other ritual objects – just avoid taking too many pictures of empty sanctuaries. Websites like Flickr, Unsplash, and Pexels offer a treasure trove of high-quality photographs. Check out this Stock Photo Secrets blog post for a comprehensive list of top-notch free stock sites. Also, one of our favorite resource’s, Canva, offers tools. You can even make your own professional infographics. Great photographs are the foundation of a great website. Gathering high-quality photos is not an easy task, but it’s a must. Your community (and especially your membership committee) will thank you.